It’s been a little while since we last reviewed an SSD from ADATA so we were keen to accept the opportunity to review their latest NVME drive. 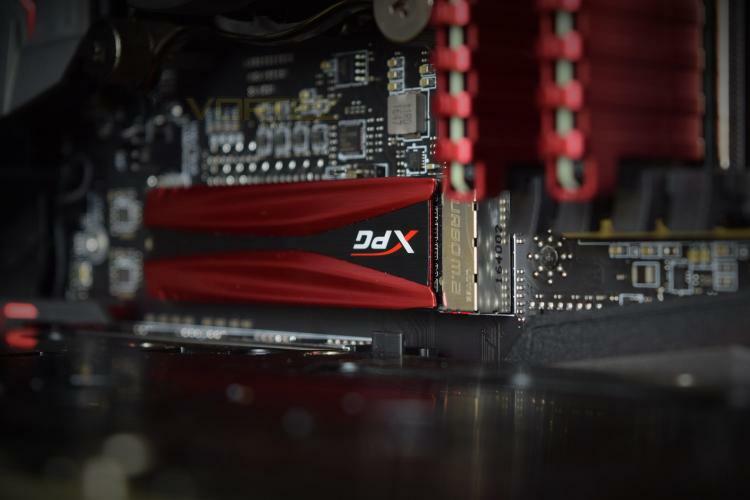 The ADATA XPG GAMMIX S10 operates on the PCI-E Gen. 3 x4 interface and claims to reach speeds of 1800MB/s read and 850MB/s write which far surpasses the speeds of any SATA 3 SSD. The GAMMIX S10 also sports a sleek black and red heatsink atop the M.2 2280 form factor. ADATA are a big name within the memory industry, with both volatile RAM memory and non-volatile SSDs, they were founded back in 2001 and have received several awards since then. The S10, codenamed the SX7000NP, is available in 128GB, 256GB, 512GB and 1TB capacities; ADATA have sent us the 512GB for testing, being the likely most popular capacity option for those seeking an M.2 NVMe SSD. All 4 versions of the drive come with a generous 5-year warranty to match their 2,000,000 hour MTBF (mean time between failure).